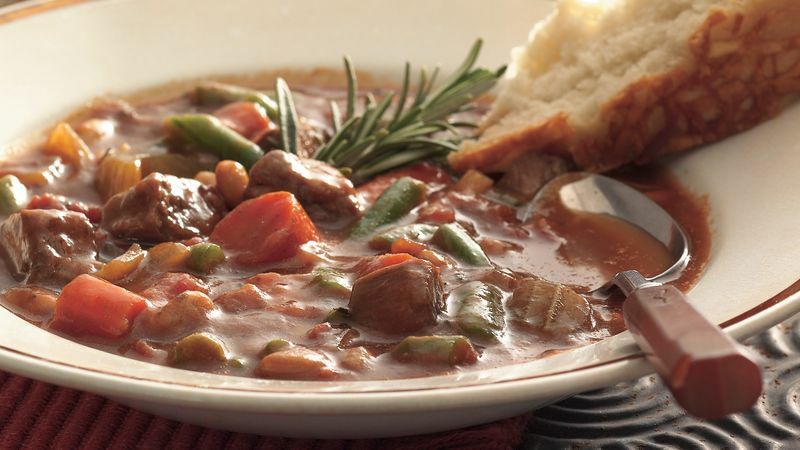 Place beef, beef base, carrots, celery, garlic, onion, pepper, kidney beans, tomatoes and gravy in order listed in 3 1/2- to 4-quart slow cooker. Stir in Italian seasoning, sugar and frozen green beans. Increase heat setting to high. Cover and cook 15 minutes or until green beans are tender. If you can't find white kidney beans, red ones will taste just fine. The Italian seasoning is added at the end to preserve its flavor. Serve a tossed green salad and hot garlic bread to round out this meal.